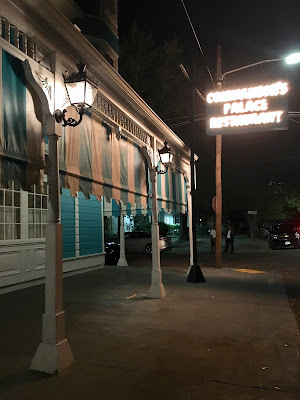 Commander's Palace is an institution in New Orleans. Since 1893, it has been serving up Southern cuisine and winning six James Beard Foundation Awards while doing so. 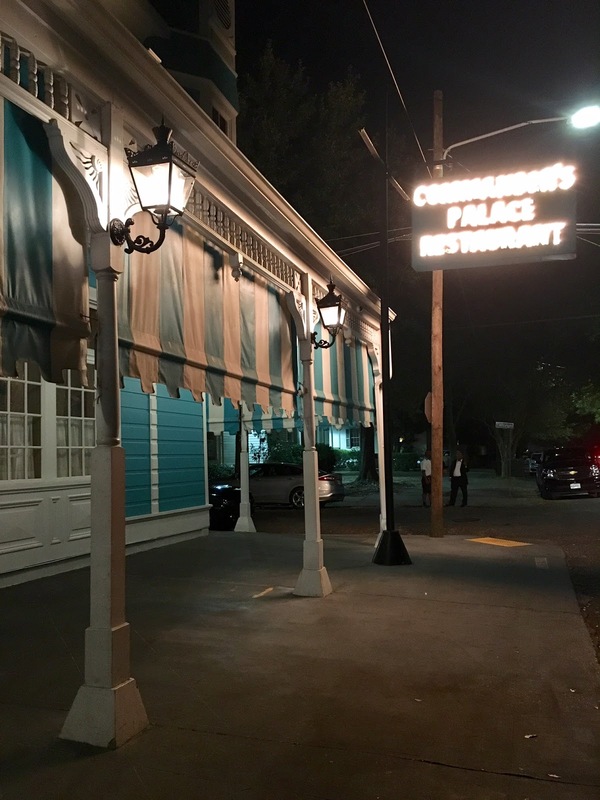 Renowned chefs such as Emeril Lagasse and Paul Prudhomme had made their mark at this restaurant. The place itself is pretty awesome. 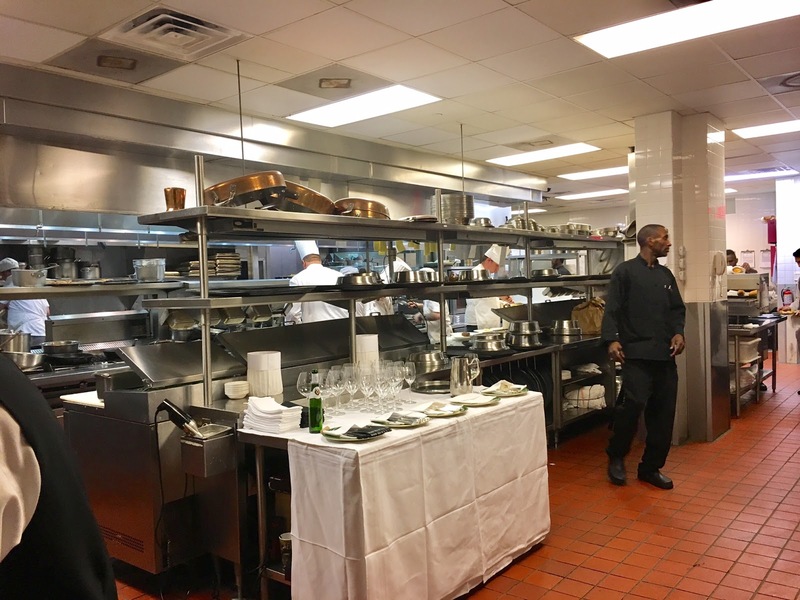 Upon entering, you are greeted by the hostess and escorted through the kitchen to your seat. There is an outdoor patio area where you can dine alfresco or opt to seat indoors where beautiful chandeliers and white tablecloths compose the room. It's a fancy restaurant without being overly pretentious mixed in with some Southern hospitality. I ended up ordering a three-course meal that costed $39.00 with a souffle for an additional $3. 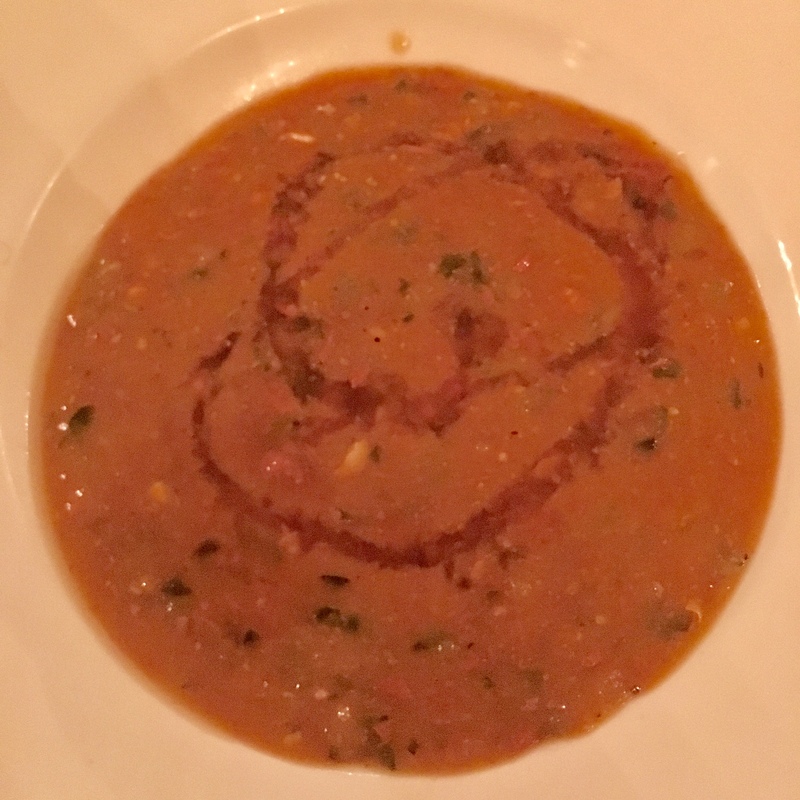 COURSE ONE: TURTLE SOUP: A Commander's Classic Finished Tableside with Dry Sherry ($8.50). This soup was actually pretty good. The turtle itself reminded me of turkey. I actually preferred it without the dry sherry, but that's a personal preference because I don't particularly like the taste of alcohol in my food if it's not cooked off. 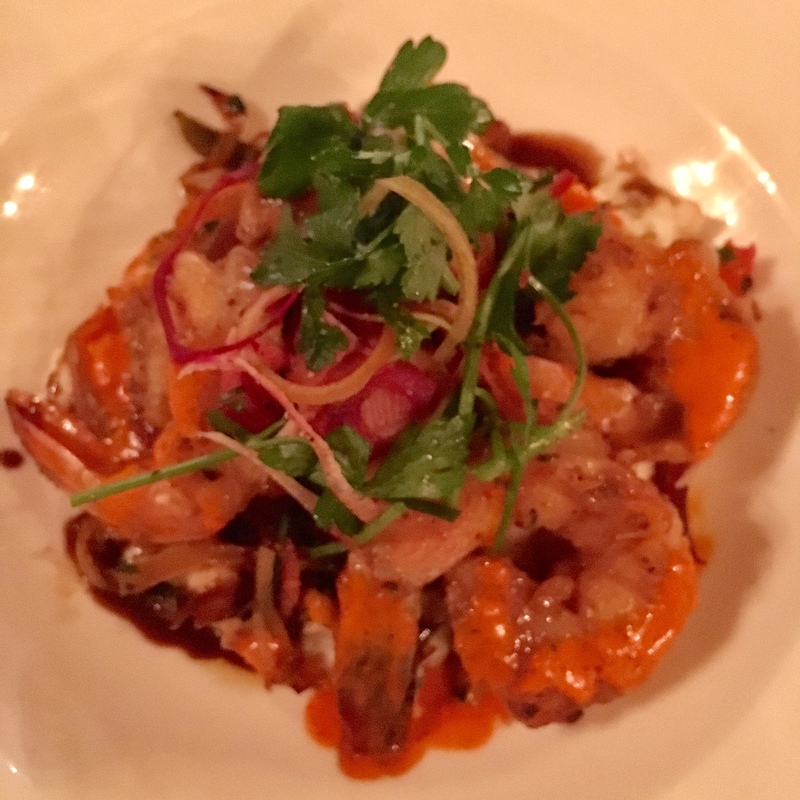 COURSE TWO: NEW ORLEANS BARBECUED GULF SHRIMP ($39.00): Wild Gulf Shrimp Flambeed with Rosemary, Garlic and Lemon Zest over Chevre Grits with Charred Chilies and New Orleans Barbecue Sauce. The shrimp were nice and big and quite succulent. The grits were good, but a little too thick in my personal opinion. I thought overall the flavor was good but I preferred the shrimp and grits at Cafe de Fleur de Lis over this one. 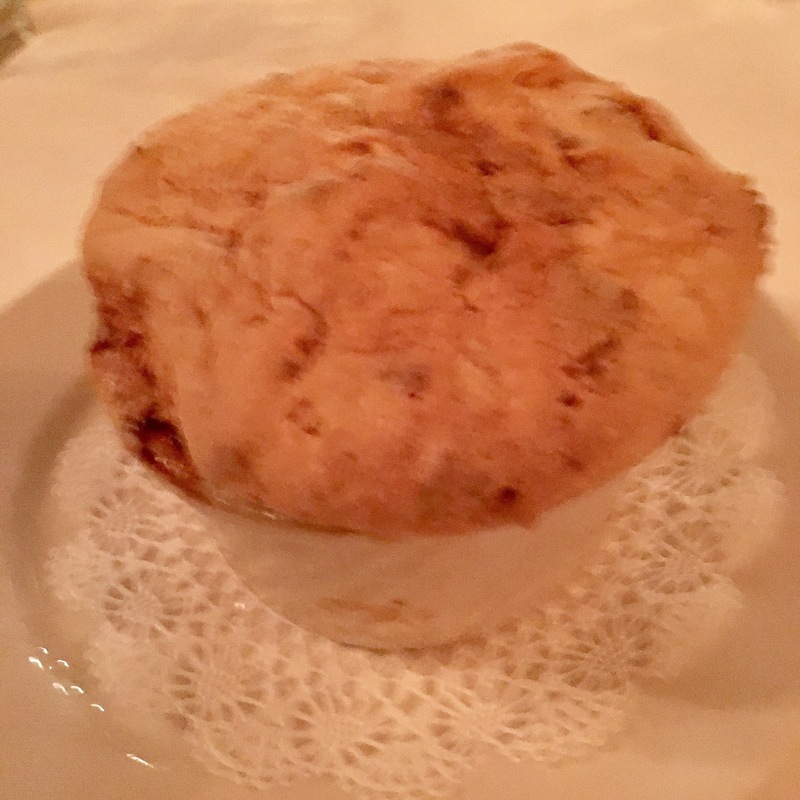 CREOLE BREAD PUDDING SOUFFLE ($9.50): All the Richness of Creole Bread Pudding Whipped up into a Light Souffle; Finished tableside with Warm Whiskey Cream. I was actually quite disappointed with this dessert. After traveling to Paris and having the most decadent souffle ever, I was expecting a light and airy dessert. It was a little dense and it wasn't as fluffy as I was hoping. I just needed it to be like this souffle . 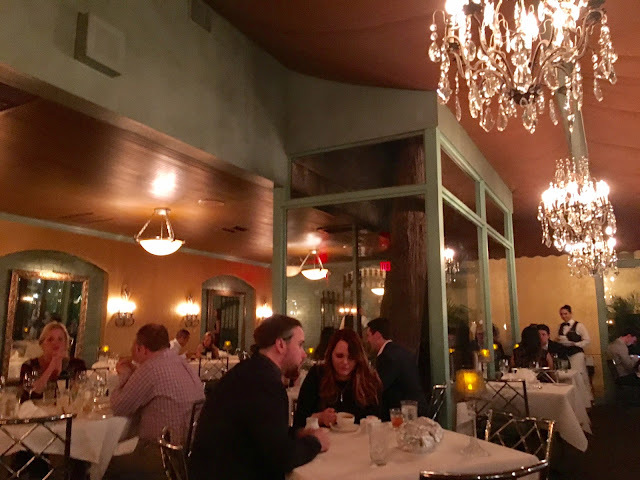 Overall, I loved the ambience and the service was impeccable. It was a tad bit chilly where we were sitting because the air conditioner was blasting at the max. The food was good, but not amazing. For the price, you can probably get something spectacular elsewhere. It's a good place to check out at least once in your life since this place is an institution in itself. And if you get food to-go, they wrap up your food into cute animals made out of foil.